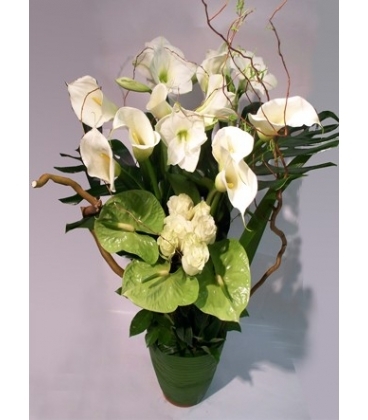 Funeral arrangement composed of white amaryllis flowers, wide open calla lilies from Columbia, green anthuriums and white roses from the best Equator greenhouses. 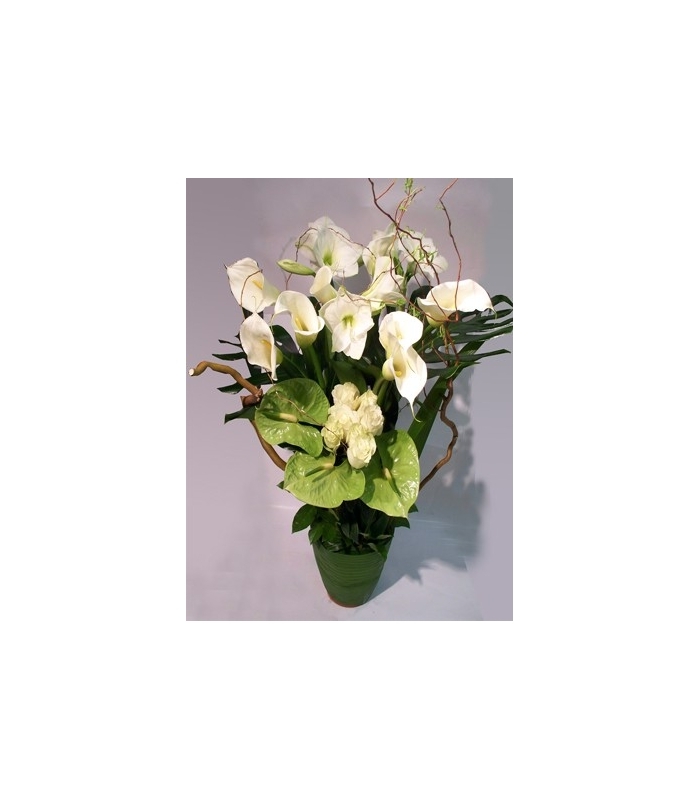 It is enhanced with large monstera leaves and seasonal curly branches. The flowers are inserted in a terracotta pot filled with humid floral foam wrapped with a coco leaf, giving it a tropical feel. Nous avons envoyés cet arrangement pour les funérailles de notre collègue et ami de travail. C'était parfait.